We are on the way to Berlin- 15 days to go! On Sunday we turned off the Rhine and onto the Rhine-Herne- Canal. It now feels like we are actually heading for Berlin as we are only 600 km away. 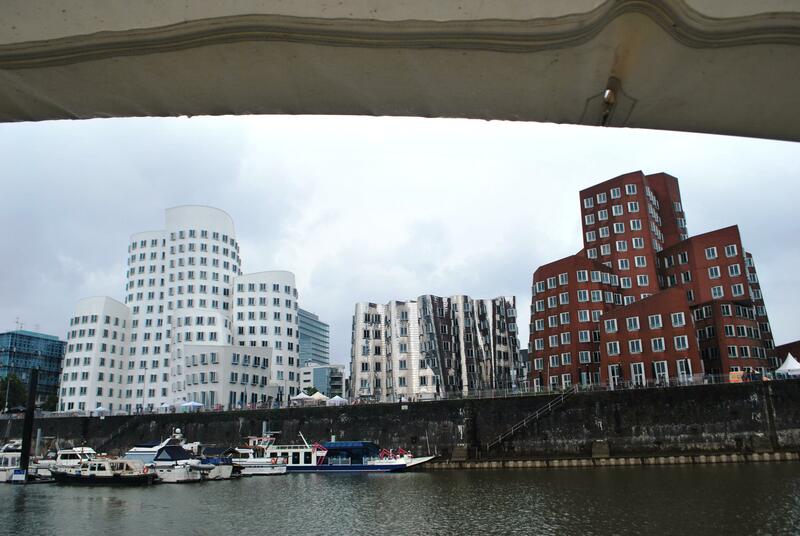 We left Dusseldorf and travelled the last 35 km on The Rhine and turned off at Duisburg into the Rhine-Herne- Canal. Over the last two days, we have motored to Munster where we have moored tonight, in the middle of the city (bit like the IFSC area in Dublin). I think it is great as I can hear the sounds of Jazz music and people laughing as I write this. Last night we stayed in a quiet marina and all I could hear were birds twittering (you can guess from this I am a city slicker and not a nature lover)! We are going to explore Munster tomorrow which seems a vibrant city. 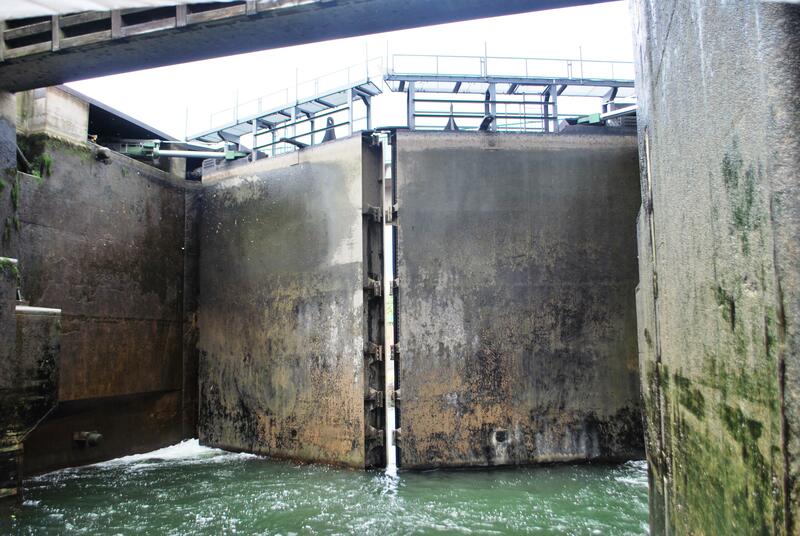 Look at the size of the lock gates!! 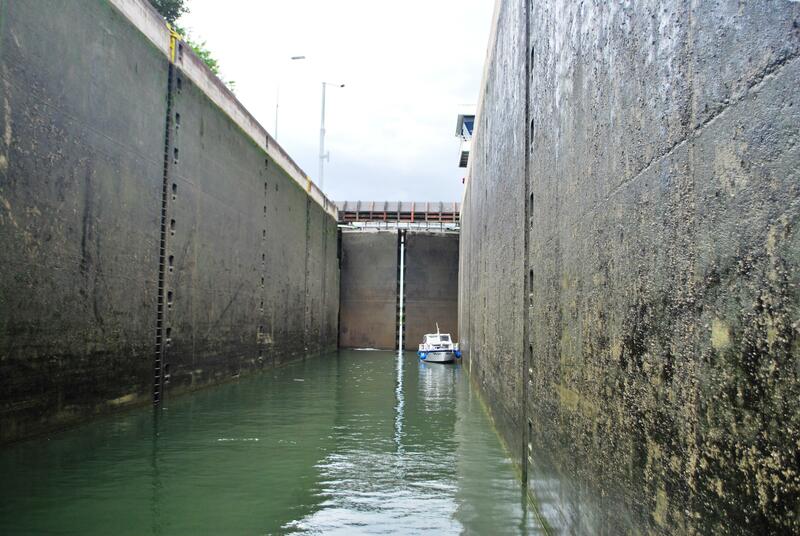 We are back on canals, the barge traffic is surprisingly light so we are trundling along at 10 km with little or no delays. This of course, was a welcomed change after the high speeds and very heavy barge traffic on the Rhine for the first day but now I am not so sure as I am starting to get bored! 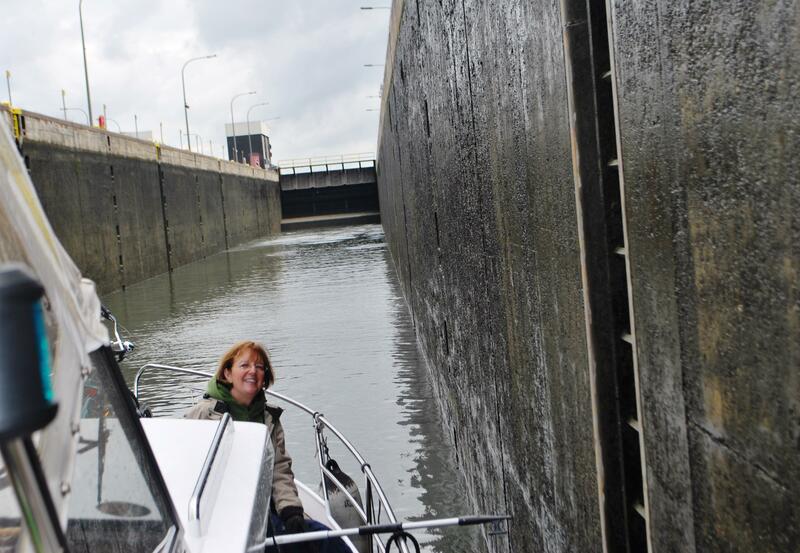 In the last two days, we have passed through five very large locks (look at the pictures) and crossed two aqueducts. 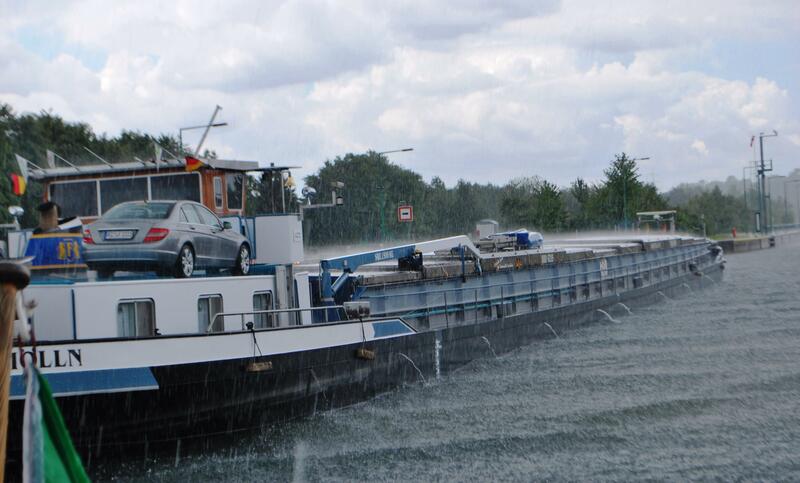 We motored through torrential rain yesterday. It came down in sheets and luckily all the window wipers worked well and the canopy kept the rain out. It’s been so long since we have had rain, it was a big surprise. We were stopped by the river police (sorry no photographs as we were afraid to take them, we had been warned how difficult the police are- speed guns – big checks on paperwork etc) but all they wanted to know was, had we really travelled from Ireland. After a day off in Munster, we are going to push onto Berlin where we will meet Nuala’s friend Heike. They were both working in Paris as Au Pairs over 30 years ago and we will stay for at least 10 days. This entry was posted in C'est La Vie - The Boat, Experiences on the Canals, On the Journey, Places visited and tagged Berlin, Duisburg, Dusseldorf, Munster city, Munster City Germany, Pais to Berlin by boat, Rhine-Herne- Canal, The Rhine. Bookmark the permalink.